The quaint eateries that dot Gay Street in West Chester always tend to attract crowds, particularly on warm summer evenings, but no crowd is quite like the one that the Chester County Restaurant Festival draws. Each September, this foodie-focused event brings more than 25,000 folks to West Chester to explore the cuisines and crafts that it has to offer. Head to the "festival grounds"—the main stretch of Gay Street, not far from Heather Glen Apartments—for the festival on Saturday, September 16th. 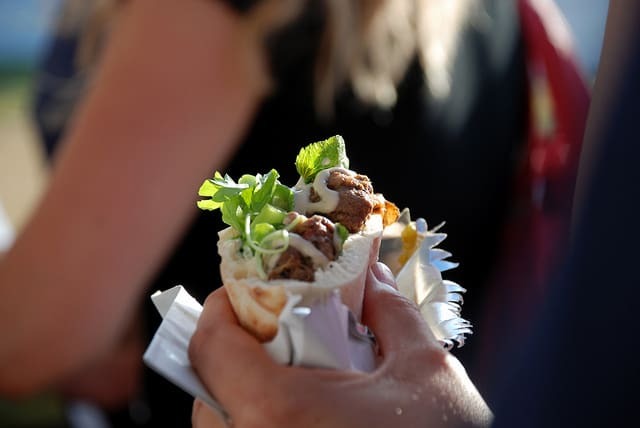 The restaurant festival kicks off at noon, at which time more than 65 of the town's eateries, catering companies, and other food vendors open their doors or their booths with fun food specials. At the Church Street Beer and Wine Garden, you can grab a bottle of local craft beer or a glass of vino. Then enjoy live music from the bands on three separate stages or check out the array of arts and crafts vendors, more than 100 of them typically. The fun runs until 5:30 p.m. and admission is free.